Treat yourself to chargrilled oysters made right at home on your grill with stoneware oyster shells from Loftin. Made in the USA, this set of 12 shells is made from a proprietary blend of heat resistant and conductive raw and organic materials and is molded and finished by hand so each shell is unique. Just purchase previously shucked oysters and make your favorite recipe in your oven or on your gas or charcoal grill. Each shell is unique in shape in size but on average, one shell can hold about 1/4 cup of liquid or 1/2 cup in topping or stuffing. The shells withstand high oven temperatures, direct flame and are dishwasher safe. Each set comes with a burlap bag for storing when not in use. Giving as a gift. Hope to get invited to try the results ! My husband and I purchase two dozen of these wonderful Ceramic Oyster Shells. We use them every chance we get. They are perfect for the grill and very easy to clean. 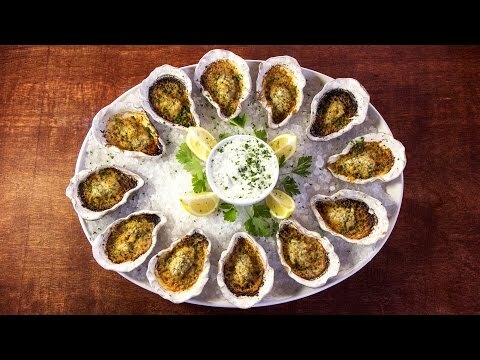 We would highly recommend these to any oyster lover! WARNING: The use of this product can expose you to chemicals including but not limited to Carbon Monoxide, which is known to the State of California to cause birth defects or other reproductive harm. www.p65Warnings.ca.gov.